In May 2015, cities, local government networks and their partners launched the Transformative Actions Program (TAP), a long-term framework that will accelerate local and regional climate action. A total of 88 cities and regions from 42 countries have submitted over 120 projects to the TAP, signaling the start of longer term institutional capacity building and support through the 10-year program. Selected projects from this first group will be presented between 30 November and 11 December 2015 at the Cities & Regions Pavilion – TAP2015 at COP21, the UNFCCC Climate Conference. Both the TAP and Cities & Regions Pavilion are designed to help cities and regions garner well-deserved international recognition and harness resources necessary for successful implementation. Media coverage of COP21 prominently features the prospects for reaching an international climate agreement, while global divestment campaigns and national renewable energy initiatives like Germany’s Energiewende or Sweden’s goal of becoming fossil fuel-free also draw attention because of their scale. This coverage is important for raising global awareness but lacks a balanced perspective on how all levels of government can combat climate change. It also suggests that the fate of our world rests solely at the international level. Yet a more inclusive interpretation is required. It is true that a legally binding and universal climate agreement will establish a framework for coherent progress on lowering greenhouse gas emissions and mitigating the impacts of climate change. This agreement will also set the tone for the implementation of many of the 17 Sustainable Development Goals (SDGs), adopted in New York in September this year. If climate change targets are inadequate or are not met, and if the impacts of climate change become more severe, it will become increasingly harder to end poverty (SDG1) or hunger (SDG2), to ensure healthy lives (SDG3), to reduce inequality (SDG10) or to protect, restore and promote terrestrial ecosystems (SDG15). 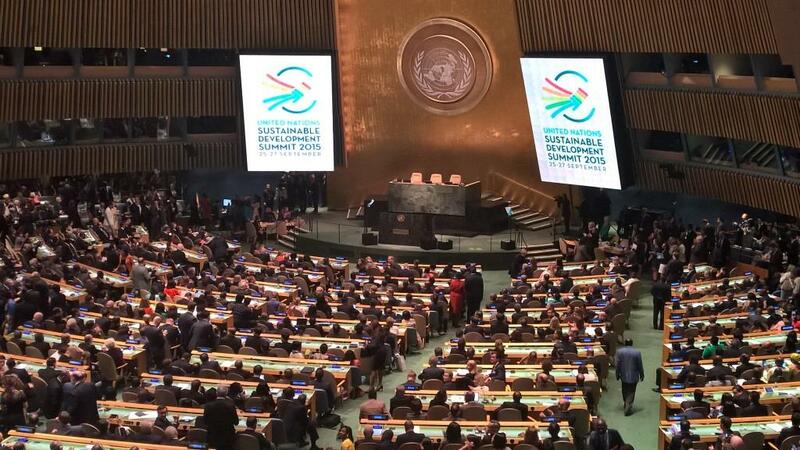 The Sustainable Development Summit 2015 in New York, USA. Photo (c) ICLEI. However, climate actions are implemented at the local and regional level, where governments and citizens can best assess how to address their urgent and evolving needs. Local and regional leaders also often have more autonomy than national politicians. While cities and regions have their own complexities and roadblocks, their politicians generally benefit from longer terms of office and smaller constituencies. When cities and regions put their weight behind sustainability initiatives, the initiatives happen. Over the past 25 years, local and regional governments have pursued an ever-increasing number of climate mitigation and adaptation actions. They are learning from each other, and creating coalitions that strengthen their visibility, transparency and impact. Over 500 cities now report to the carbonn Climate Registry, committing to one billion tons of CO2 equivalent by 2020, while over 200 cities have committed to the Compact of Mayors, the world’s largest coalition of city leaders addressing climate change by pledging to reduce their greenhouse gas emissions, tracking their progress and preparing for the impacts of climate change. Yet the buzz around international conferences overshadows efforts that have a tangible and meaningful local and global impact. Presented one by one, projects that transform cities and reduce global emissions may be perceived by media, funding partners and negotiators as less glamorous and politically compelling, when compared to international proceedings. However, their profile rises through the TAP, as does their likelihood of success if supported by vertically integrated policy and climate finance. 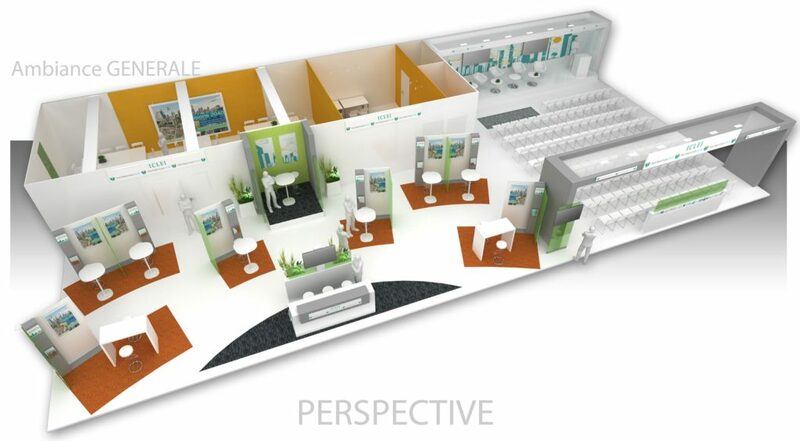 The Cities & Regions Pavilion will be full of potential to be tapped. The Cities & Regions Pavilion will provide a physical space for local and regional governments in the heart of the most important climate negotiations of our generation. Special TAP Time sessions will allow representatives of local and regional governments to explain their transformative actions to delegates and potential funders, having been selected after a rigorous review process by a panel of experts. The Pavilion program also aligns with the COP21 thematic days on energy and cities, and places special emphasis on local climate finance. A call will be issued to mayors to join the 100%RE Cities and Regions Network, while Cities Alliance will launch their Resilient Cities Joint Work Program, including a new publication with the Medellín Collaboration on Urban Resilience that harmonizes international approaches to urban resilience. Climate finance will be addressed through through sessions by Agence Française de Développement (AFD), the Cities Climate Finance Leadership Alliance (CCFLA) and the Global Environment Facility (GEF). In total, more than 100 mayors will participate in the Pavilion, bringing a tremendous wealth of local information to complement the global perspective of internationally recognized figures in the field of sustainability, including Arnold Schwarzenegger, founding chairman of R20 Regions of Climate Action (R20) and Jeffrey Sachs, world-leading economist and leader in sustainable development. Running in parallel to the international negotiations, the two-week program will advance the more than 120 initiatives on display. The Pavilion will also complement high-level UNFCCC proceedings by showing how the climate regime translates to realities in cities and regions around the world. It will also demonstrate how cities and regions can lead the way, regardless of whether an agreement is reached in Paris. It is time to put our faith and resources into local and regional action.